Save the date for Friday, July 31, 2015, for the next BYU New Testament Commentary conference. The conference will be held on the BYU campus in Provo, Utah. The topic of this year’s conference is 1 Corinthians. 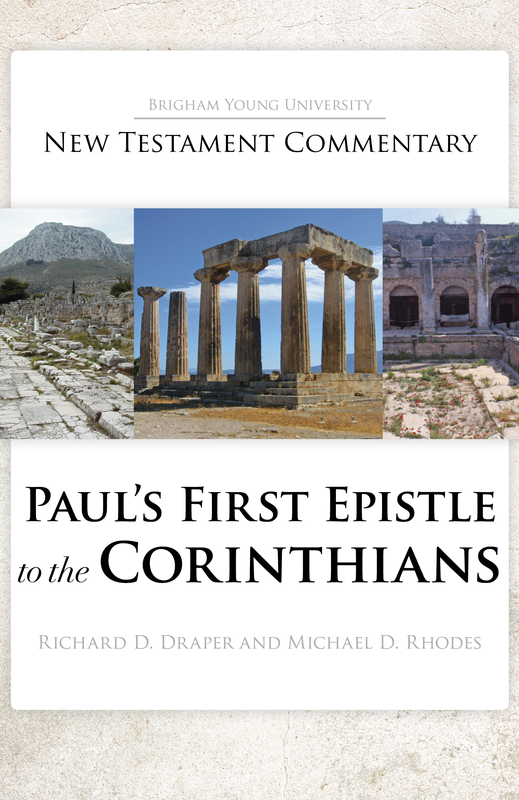 The commentary on that book has been written by Michael Rhodes and Richard Draper and is under review by the committee. 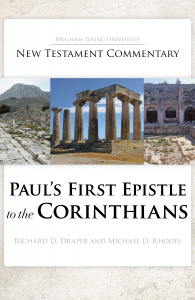 The conference will include a variety of presentations and discussions about this forthcoming volume in the commentary series and about Corinth, Paul, and LDS biblical studies in general. Anyone interested in New Testament studies will find this conference very helpful. The conference is free and open to the public. The schedule of speakers will be announced soon. Note: this date is a change from the previously announced date of May 13, 2015. 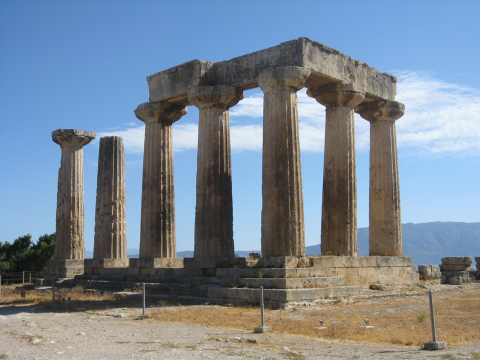 This entry was posted in 1 Corinthians, Conferences on March 3, 2015 by Administrator. What Does the Resurrection Do to the Physical Body? This entry was posted in 1 Corinthians, Easter, Michael D. Rhodes, Richard D. Draper on March 12, 2014 by Administrator. This entry was posted in 1 Corinthians, Easter, Michael D. Rhodes, Resurrection, Richard D. Draper on March 11, 2014 by Administrator.